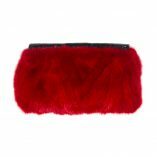 This luxury light weight limited edition red mink fur clutch has been finished with the highest quality Python trim and lined with the most gorgeous soft satin. 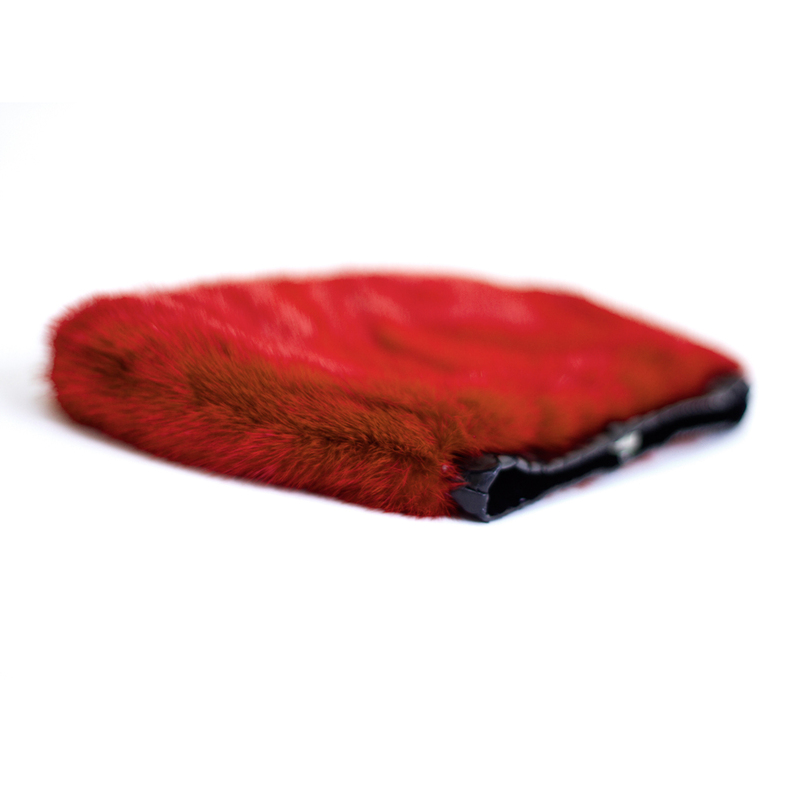 Sourced from superior quality genuine fur pelts and crafted into this beautiful red mink fur clutch by a skilled furrier. 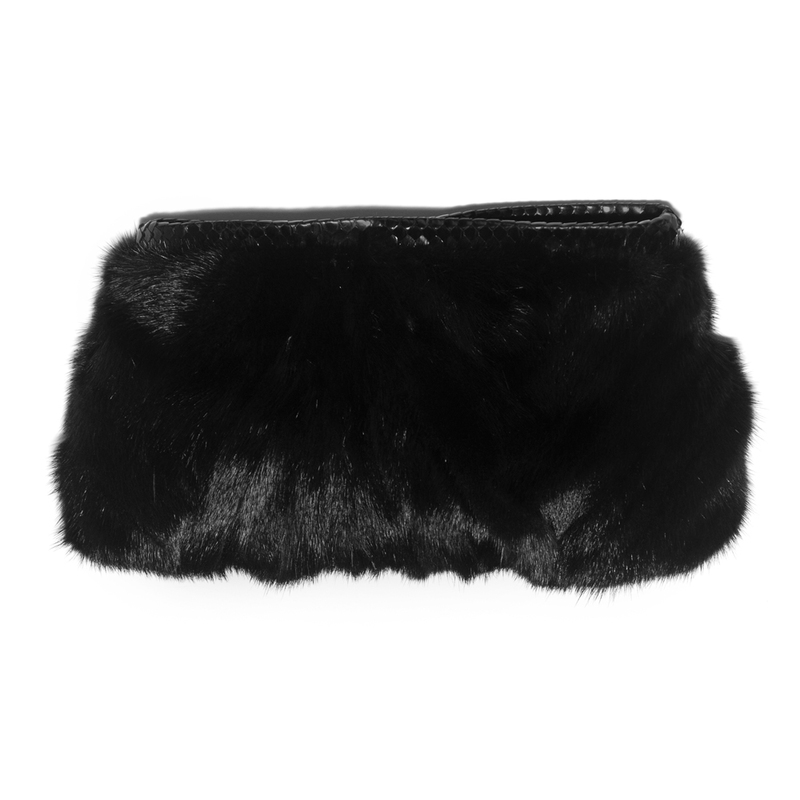 The perfect accessory to lift any evening outfit – looks great with a Tux jacket and heals. 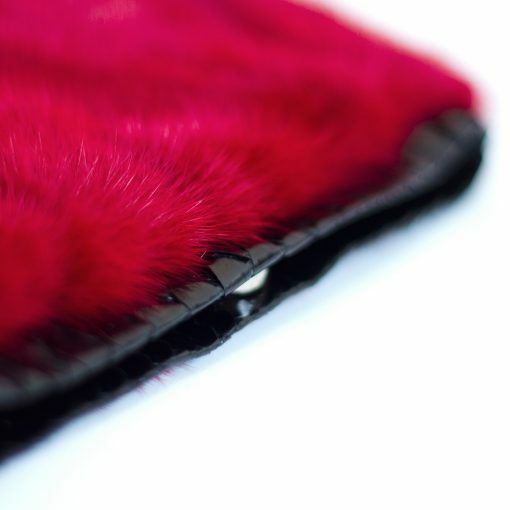 The internal slit pocket is perfect for stowing a lipstick. Philippa London wears this red mink fur clutch under her arm with her white Tux jacket and heals.